Picturesque country cottage located in the center of Italy. 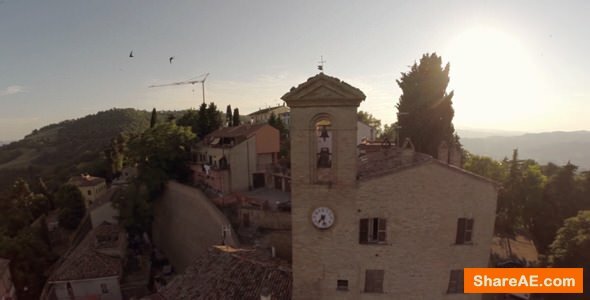 Aerial drone shot over the historic center of the village with church and bell tower. relaxation, tranquility, nature, old values? ?, holidays, old Europe, impressive landscape. Full HD 1280 × 720 video at 25fps.